Now is the opportune time to reconvene the All Party Representative Committee (APRC), Technology and Research Minister Tissa Vitarana told Adaderana this evening (July 31). The decisions reached during the earlier rounds of talks by the APRC could be discussed further, Minister Vitarana said. Thirteen political parties arrived at several decisions during the earlier meetings and President Mahinda Rajapaksa has to take the final decision, he added. The decisions of the APRC could be a fillip to the current attempts to amend the existing constitution. 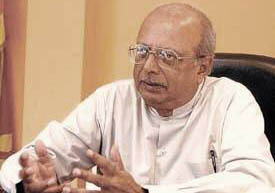 Any short coming could be ironed out through further discussions, Minister Tissa Vitarana reiterated.